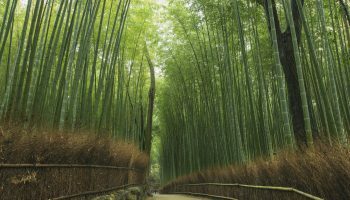 When visiting Kiyamachi, don’t miss these often overlooked landmarks. You’ll thank us later. 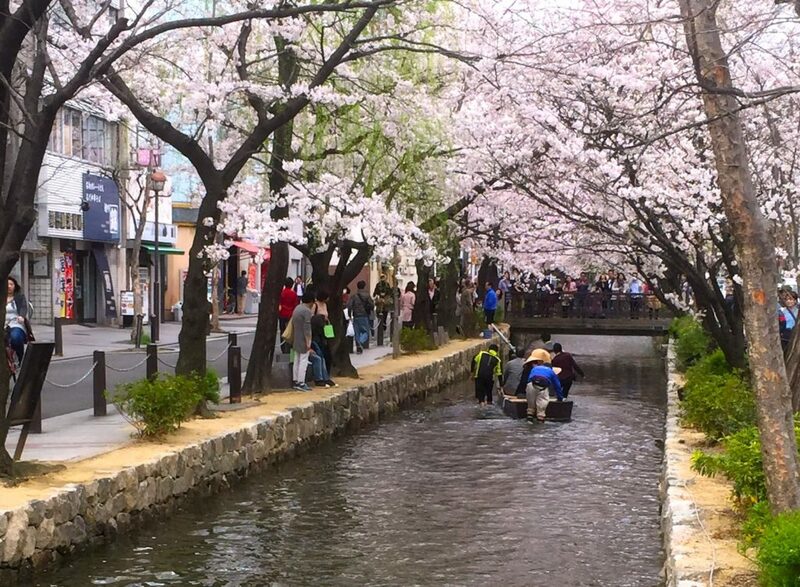 If you visit Kyoto, chances are you’ll end up in the Kiyamachi area. Why wouldn’t you! It’s near the famous Gion, the geisha district, Pontocho, where you can eat riverside, as well as scores of shrines, temples and parks. 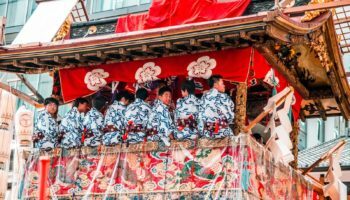 Kiyamachi Dori, or Kiyamachi Street, is a picturesque street area with a river running parallel where you’ll find some of Kyoto’s best nightlife — ramen shops, Japanese barbecue and even a few clubs. Yet, there is a big part of this area that most tourists don’t know about because it’s hidden. Photo by: Lucio Maurizi Takasegawa Ichino Funairi: don’t miss this ‘Historic Site of Japan’. The Kiyamachi strip is more or less divided into three sections. You won’t see signs dividing the three sections, but they are very different from one another in terms of the way they look, the attractions and vibe. In the middle is the area that everyone sees — parallel to Pontocho Alley. Yet, many people end up missing out on the southern and northern sections of the Kiyamachi strip. Both are beautiful, especially in spring when the trees start to bloom. The northernmost one is even home to a “Historic Site of Japan,” according to the Agency for Cultural Affairs. That’s Takasegawa Ichino Funairi (Takase River First Port) — the last remaining of what were once nine small ports built at the beginning of the 17th century and used by merchants to transport goods via the Takasegawa Canal. Even though now in disuse, it’s still a charming site with old boats floating on the water between two beautiful bridges, which lead to yet more alluring streets. 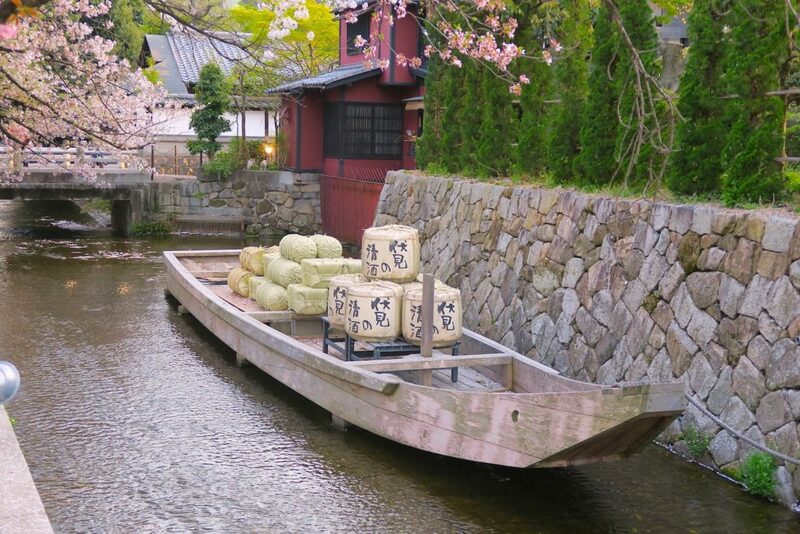 Photo by: Lucio Maurizi A rarely seen Takasegawa boat ride by Kiyamachi. Lastly, you might decide to walk south on Kiyamachi, from Kawaramachi station. The vibe here is quieter and cozier. In April, hundreds of sakura trees are in bloom. 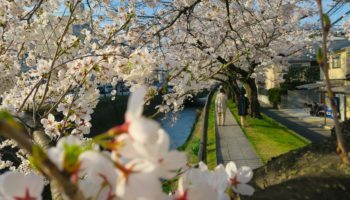 It might even make you want to go for an impromptu hanami (flower-viewing party). Even though in Kiyamachi you can’t really set up a picnic, you can by the nearby Kamo River that has plenty of space to sit. Photo by: Lucio Maurizi Gion Shirakawa right after sunset. 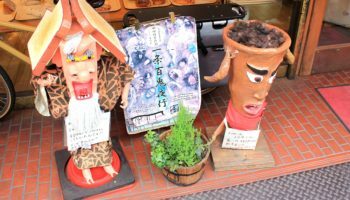 When in this area don’t miss Gion Shirakawa. (Map) Head toward the east side of Kamo River and north-east of the Gion geisha district to find it. 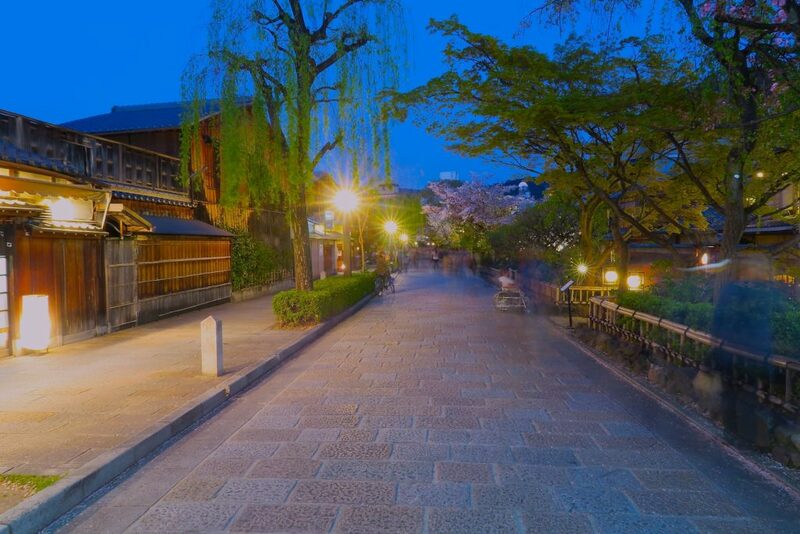 Part of the preserved old town of Kyoto, this area is a never-ending source of beautiful sights. For a less crowded experience, you could go there (around 9:30-10 p.m.) at night. 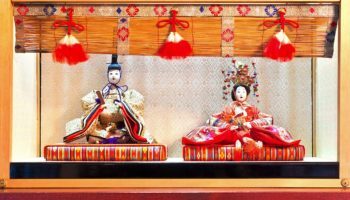 Not only will you be able to enjoy a great walk among classic streets and buildings, but also great food and drinks in traditional Kyoto locales often populated by real maiko (apprentice geisha) and geisha. Kiyamachi extends north and south from Kawaramachi Station on the Hankyu line (also just 3 minutes walking from Gion-Shijo station on the Keihan line).